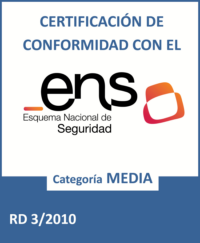 PROCONSI S.L., the person responsible for the website, hereinafter the CONTROLLER, makes this document available to users, which is intended to comply with the obligations provided in Act 34/2002 of 11 July, on Information Society and Electronic Commerce Services (LSSICE), Spanish Official State Journal No. º 166, as well as informing all website users of the conditions of use. PROCONSI S.L. reserves the right to modify any type of information that may appear on the website, and is not obliged to give prior notice or inform users of such obligations, with publication on the website of PROCONSI S.L. being understood as sufficient. Registered in the Registry Commercial: de León, Tomo 758 General, Folio 5 vuelto, Hoja: LE-7122, Inscripción 7º. Regardless of their intended purpose, the total or partial reproduction, use, exploitation, distribution and commercialisation, requires in any case the prior written authorisation from the CONTROLLER. Any unauthorised use is considered a serious breach of the author's intellectual or industrial property rights. The designs, logos, text and/or graphics not belonging to the CONTROLLER and which may appear on the website, belong to their respective owners who are liable for any possible dispute that may arise regarding them. The CONTROLLER expressly authorises third parties to redirect to the specific content of the website, and in any case to redirect to the main website of www.proconsi.com. Comments regarding any possible breach of intellectual or industrial property rights, as well as regarding the contents of the website, can be made by contacting info@proconsi.com. Spanish law, to which the parties expressly submit themselves, will apply to all disputes or questions related to this website or the activities carried out on it, and the Courts and Tribunals closest to LEÓN shall be responsible for the resolution of all conflicts arising from or related to its use.